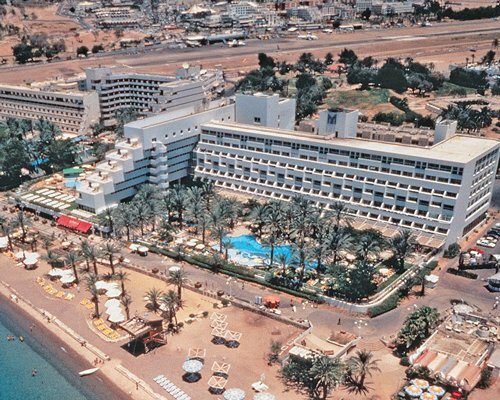 The exciting, modern Radisson-Moriah Plaza has an enviable position in Eilat directly on the beach. On-site facilities include a children's mini club, sound-proofed disco, three types of restaurants, 24-hour room service, and a game room. The excellent climate, fabulous coral reefs teeming with colorful marine life, extensive watersports facilities, and the natural beauty of the surrounding desert all combine to make Eilat an international tourist center. 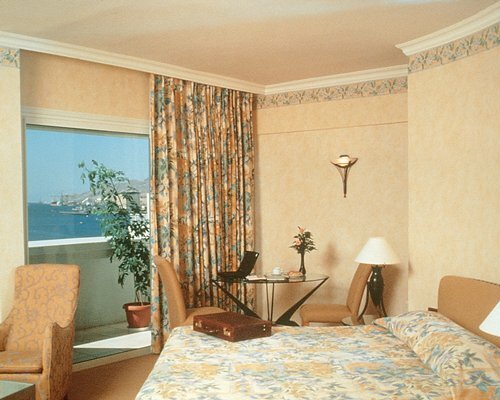 Nearest Airport: EILAT 1.5km From the airport, turn left. Turn left at the first traffic lights. Approximately 1.5km further on, take the first right turn and the resort is about 300m on the right hand side.